This post is sponsored by Megan Media and Mattel. 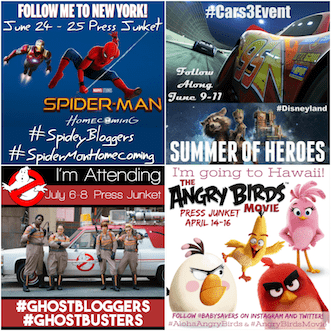 The opinions and ideas expressed here are my own. It’s hard to believe the holiday season is here. I’m having a hard time grasping that it’s time to start shopping for Christmas gifts! My daughter, Piper, is seven and my son, Haiden, is eight. I’m so thankful that they’re both at ages that are easy to shop for; it’s never a challenge to find gifts they’ll love. If anything, it’s a struggle to narrow down my shopping list because they’d be thrilled with so many things that are available to buy! 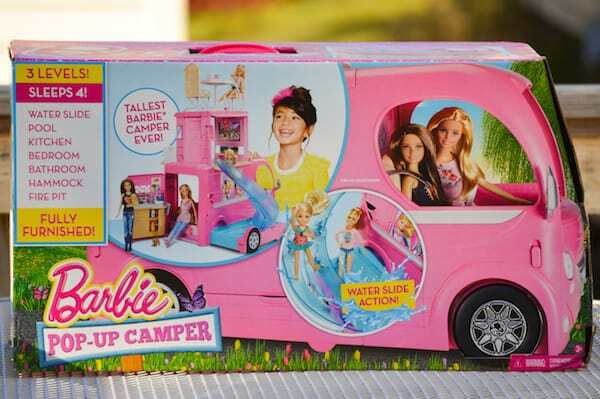 But I do know one thing about shopping this year: the Barbie POP-UP CAMPER is a hot toy this Christmas! With a bunch of fun features in between! 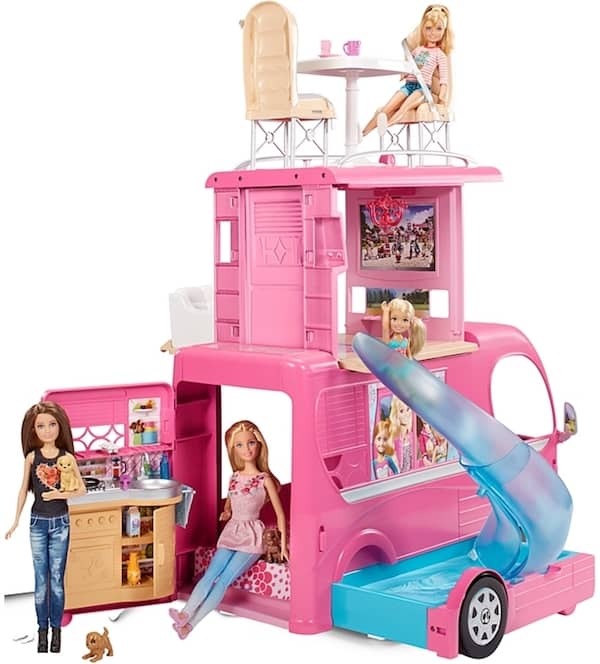 While this might be the most amazing toy camper I’ve ever seen, it also has more modern luxuries than I ever dreamed Barbie would have (a flat-screen TV with remote? A built in waterslide? A patterned hammock under a hip chandelier?). I think my top reason for loving it so much is that it brings back strong memories of the Barbie toys of my own childhood. I know I’m not the only mom who gets nostalgic about her own upbringing when shopping for toys for her daughter. If you’re like me, you’re definitely going to want to take a second look at the Barbie POP-UP CAMPER. Open the tiny refrigerator door just once. Slide the little chair across the textured plastic floor of the camper. Roll the camper around on carpet. I swear it will bring you right back to your days playing with the your own Barbie toys! 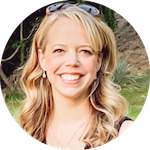 If you’re wondering if our newest generation of little girls still go for Barbie toys when they have so much variety to choose from, my answer is a huge, resounding YES! 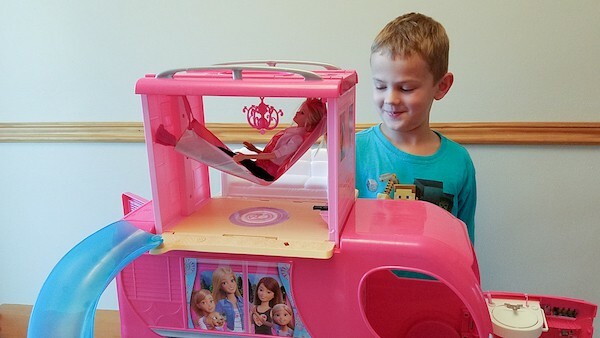 Not only that, boys will totally go for the Barbie Pop-Up Camper, too! I finally let Piper get her hands on the camper after I shot the review video above. At that point, I had actually played with it for a few hours, so I was able to give her a full tour of everything it could do. Piper must have exclaimed, “This is awesome!” or “Amazing!” at least five times just while she was exploring everything the camper could do. It only took Haiden about a minute of listening to her before he came in and to take part in the camping fun. My kids are 12 months apart, and I feel like I’ve spent a good part of my life as a mom finding toys that work for two kids to play with at the same time. 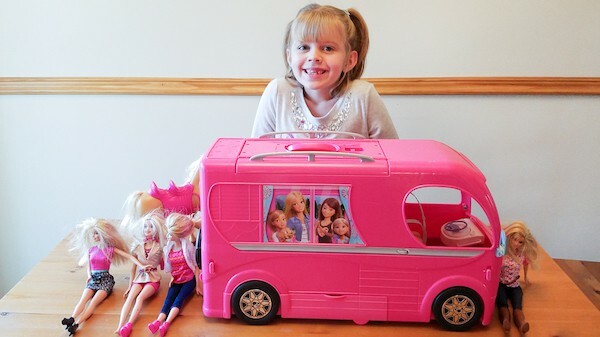 The Barbie POP-UP CAMPER has features on every side, and it can entertain up to four kids at once! Even better, the camper has so many creative features that the storytelling possibilities for this toy are endless. 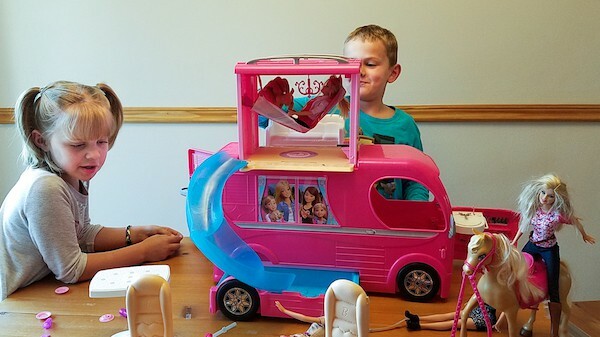 From water play to watching a movie to camping to cooking to driving, the Barbie POP-UP CAMPER is giving my kids the opportunity to play out whatever they imagine! 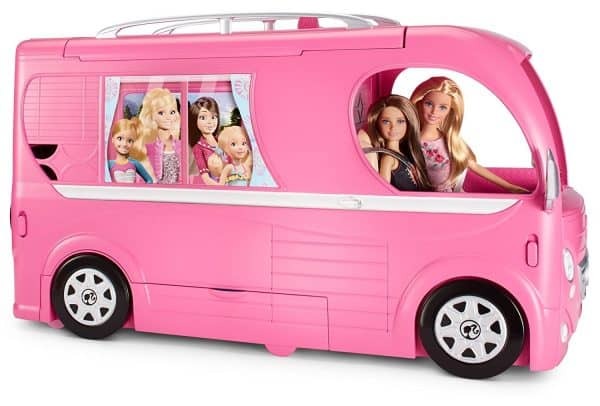 If you’re shopping for a young child or if you remember your own love for Barbie products you need to check out the Barbie POP-UP CAMPER. I promise you’ll be impressed!